The Hemp Biz Journal’s latest report predicts even bigger bucks ahead for the USA’s industrial hemp industry. The report estimates consumer sales of hemp products in the U.S skyrocketed to $593 million last year, up 33 percent compared to 2014. A report in May from the Hemp Industries Association (HIA) put the 2015 figure at a lower USD $573 million. The Journal expects the hemp industry in the U.S. to reach $1.8 billion in consumer sales by 2020. A standout performer in goods last year was hemp-derived cannabidiol (CBD); a compound believed to have many therapeutic qualities, including the treatment of seizures. The report estimates the size of the Hemp CBD market in the United States grew from being non-existent just a few years ago to $85 million in 2015. Again, the HIA’s figures indicate a lower total – $65 million. 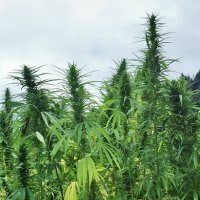 The report predicts that by 2020, industrial products for the automotive, building and other industries will comprise 32% of overall hemp consumer sales, up from 20% last year. While the Hemp Biz Journal and HIA’s reports do show some conflicts in tallies; one thing is for certain – industrial hemp is big business and will only get bigger in the years ahead. The report is based on statistics sourced from Industrial Hemp Association, Hemp Industries Association, International Hemp Building Association and point-of-sale data from SPINS. Further details on the State Of Hemp report can be viewed here. The hard copy of the report is printed on – you guessed it – hemp paper. The US Department of Agriculture (USDA) defines hemp as any part of the cannabis plant with a tetrahydrocannabinol (THC) content that does not exceed .3 per cent at dry weight. Over this level and a plant is considered to be marijuana; or to use an old term still bandied about by some of the Feds, “marihuana”. Previous articleDEA Rescheduling Marijuana Soon … Or Not? Next articleMedical Cannabis : A Useful Treatment For Bipolar Disorder?